Wandering the city of Dallas after dark wasn’t scary – in fact it was quiet, with a few people on their way home, traffic that was minimal and taxis parked waiting for someone to hail them. As I walked to the Magnolia Hotel, I was on a mission to see Pegasus, a neon light sculpture above the hotel, best seen at night. 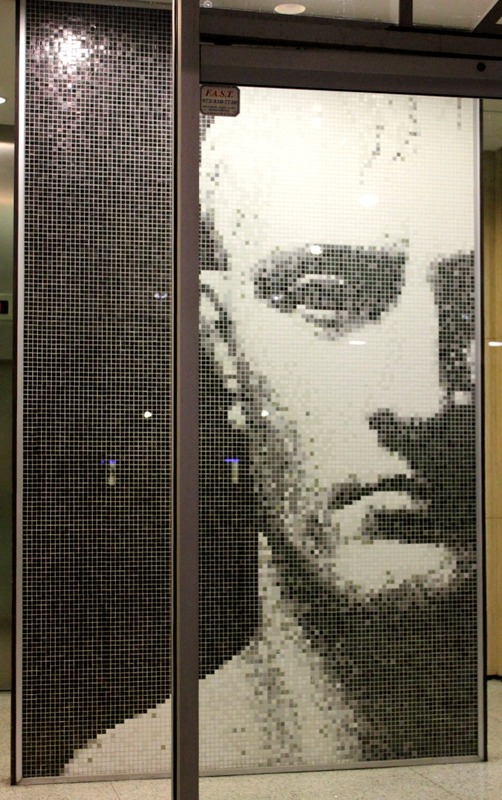 On my way I spotted this mosaic face in the entrance of a building. It was easily seen from a distance and I loved that it was gazing out into the quiet night, a watchful face. 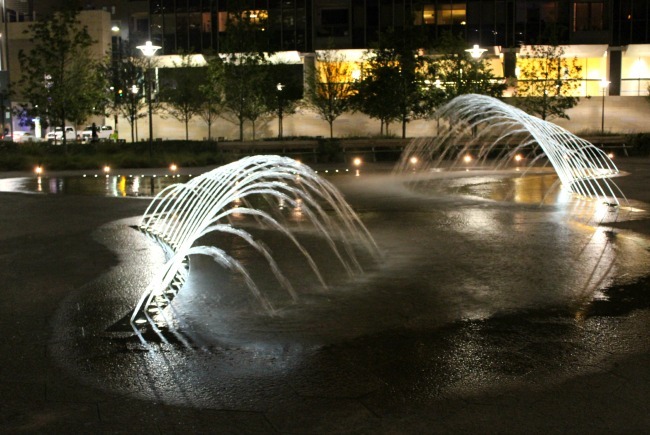 I cut through Belo Park, where the fountains were creating patterns on the pathway and the lights illuminated the distinct water arcs. I loved that they created an artistic pressence at night, as well as melodic sound, now easily heard with the streets relatively empty of cars. 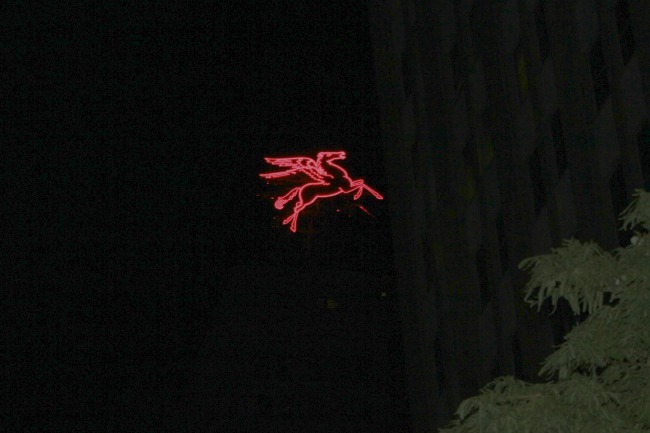 A winged horse glowing in the night sky – a symbol of the downtown that had been the logo of the building’s former tenant, the Magnolia Petroleum Company. And although a corporate logo from the past, its artistic presence, as well as the fountain and the mosaic were welcome additions to discovering art after dark in Dallas.